Today is Treaty Day in Canandaigua, New York. An annual commemoration of the treaty the Six Nations of the Iroquois signed with the United States in 1794 is held there each year, with a parade from the Canandaigua Primary School to the County Court House lawn at 130, and a commemoration ceremony at 200. For the rest of the day, there are vendors and displays and speakers at the primary school. The school site itself is significant because a large number of the 1600 Indians who attended the treaty council between September and November in 1794 camped on land that ultimately became the school’s play fields. 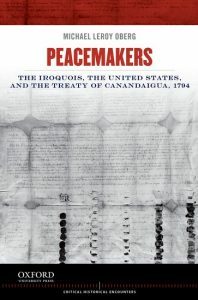 Two years ago I published a book about the Treaty of Canandaigua. The United States negotiated about 370 treaties with a large number of American Indian nations. These diplomatic agreements do various things. Some of them established peace after periods of warfare. They granted to the United States control over the internal affairs of tribes. They allowed the government to further its variety of “Civilization” programs, from the provision of spinning wheels and livestock to early moves towards allotment, and they were the instrument through which the land that made up Native America became part of the United States. Some of these treaties were fraudulent. There is no doubt about that. Some of them were deceptive, and others coerced. Many were, in short, instruments of colonial control. Canandaigua, I argued, was different. After the Revolution, the United States dictated a treaty of conquest to the small number of Six Nations people who gathered in November of 1784 at Fort Stanwix. The United States negotiated similarly coercive treaties with the southeastern nations at Hopewell and with the Ohio Valley tribes at Fort McIntosh. At Stanwix, American treaty commissioners dispensed with the long-recognized protocols of Iroquois diplomacy, thumped the gathered Indians on the chest, and explained to them what the new American empire would look like. The Iroquois were expected to release prisoners and provide hostages as a measure of their good faith. And they were required to give up all of their lands west of a line drawn four miles east of the Niagara River, a move designed to contain the Six Nations within the State of New York and cut them off from the British posts at Oswego and Niagara, and their kin who had resettled at Grand River in Ontario. 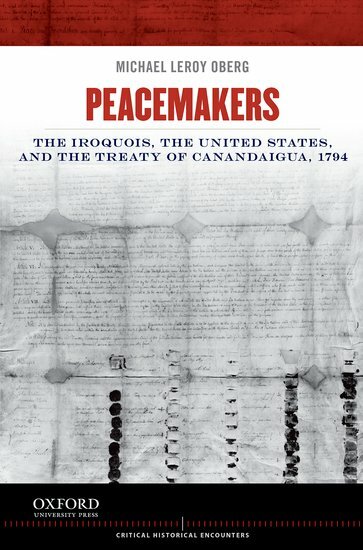 The treaty did nothing to address some significant grievances that were felt particularly by the Senecas, the largest and westernmost of the Iroquois nations in New York. The Senecas complained of white encroachments on their land. The complained about murders, 13 of them by white frontiersmen between 1784 and 1790, and an uncertain number more afterwards. 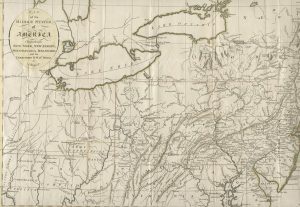 And they complained on limitations on their ability to move: the lack of access to the Niagara River, and the claim asserted by Pennsylvania to the so-called “Erie Triangle,’ that tag of land you pass through in the Keystone State when you follow Interstate 90 from, say, Buffalo to Cleveland. These grievances were significant. And the native peoples in the so-called Northwest Territory shared many of them–encroachment, violence, and so on. To deal with the threat posed by the confederated Northwestern nations–Shawnees, Delawares, and many others–President Washington sent out an American army led by Josiah Harmar to teach them that the soldiers of the United States numbered like the trees in the woods, the stars in the sky. The Americans were defeated handily, “thrown on their backs.” Harmar lost one hundred men and five hundred horses. The Northwestern confederates attacked American settlements in Kentucky, Virginia, western Pennsylvania, and their allies did damage in the Carolinas and Georgia as well, They pushed back American settlement. Another army went out under the command of Arthur St. Clair. Its story is told by Colin Calloway in The Victory with No Name. They marched out into the Ohio country. On the 4th of November in 1791, the Northwestern confederates attacked them. Of St. Clair’s 1400 men, 910 were killed or wounded. St. Clair lost 1200 muskets, lots of artillery, his horses. Twenty percent of the entire armed forces of the United States was wiped out in one day. Could it get worse? Yes. The British still held their forts at Oswego, Niagara, and Detroit on the margins of an Iroquoia that had remained under siege since the Revolution. Settlers were terrified. The British looked at these Indian victories and began to discuss among themselves the possibility of carving out a neutral Indian Barrier State, with its southern boundary running along the Ohio River. What would happen if the powerful and aggrieved Six Nations joined with the Northwestern confederates? The entire frontier would be exposed, and native warriors posed an existential threat to the United States. So what to do? Seneca diplomats and American officials both recognized that they could address the challenges they faced through negotiation and diplomacy better than through warfare. The Senecas had learned well what American soldiers could do to their homeland from the Sullivan Campaign of 1779. Iroquois diplomats traveled widely, risking their lives, some of them dying, in an effort to avoid war and protect their communities. 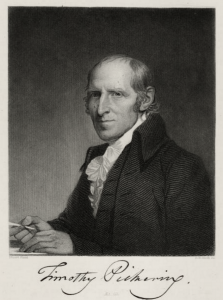 Timothy Pickering, the emissary appointed by Washington, met with the Senecas at Tioga in the fall of 1790, in the wake of the Pine Creek murders, a crime for which the one person tried was acquitted. Pickering learned from this that no jury would convict a white man for murdering Indians. Native lives did not matter, he lamented. Meanwhile, other Seneca leaders were meeting with American officials in Philadelphia, a meeting in which George Washington pledged to protect the Iroquois from any additional land grabs by the State of New York. And in the fall of 1791, Pickering met with a larger group of Senecas at Newtown Point, to establish friendship and alliance. The United States needed the Six Nations. Pickering understood that better than any of his American policy-making peers. The Six Nations served as American eyes and ears in the west, for instance. The British continued to work with Indians in the region, including the Senecas, from their posts at Detroit and Niagara. And the State of New York, despite Washington’s promises, continually offered fresh sources of grievance through fraudulent and illegal land sales. In my current book project on the Onondagas I spend a lot of time on the 1788 and 1793 purchases. To resolve these crises, the United States called a council to meet at Canandaigua, which was far enough away from Niagara, Pickering hoped, to keep the British from interfering. That was the hope. 1600 Haudenosaunee showed up at Canandaigua in the fall. They brought with them many grievances. Encroachment on their lands must stop. Murders must stop. And their land issues: access to the Niagara River and the claim to the Erie Triangle. Now here’s the thing. Before the treaty council commenced at Canandaigua, the northwestern Indians had been defeated at the Battle of Fallen Timbers. The defeated Indians fled toward a British post, and there they found no shelter or assistance. From this Pickering knew, then, that there was no immediate threat that the Senecas would join with the Northwestern confederates because they had been defeated. And there was no longer any immediate threat that the British would get involved or that their dreams of a neutral Indian Barrier State could come to fruition because, when push came to shove, they kept their gates closed to their allies. But Pickering negotiated anyways. It is a big part of the story I tell in Peacemakers. 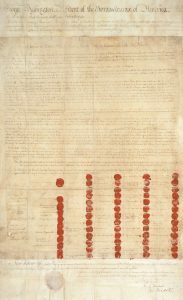 A treaty of seven articles, some of which very clearly served the United States. Peace and friendship, of course, but also the fourth article, which stated that the Six Nations would never claim any additional lands in the United States. The Six Nations, Iroquoia, would never grow again. 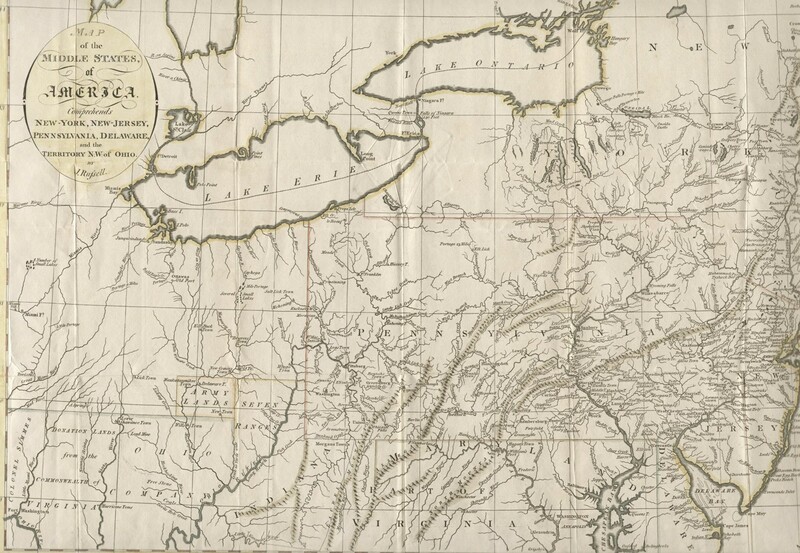 The United States secured the right to cut military roads through Seneca country, and the right to bring its “civilization” program to the Six Nations. So what did the Six Nations get? They got, for a time, the return of their lands along the Niagara River. More importantly, they were guaranteed the right o the “free use and enjoyment of their lands.” The phrase is used three times in the brief treaty. The United States recognized this right and did so unambiguously. Native peoples could do what they wanted on their own lands, free from the interference of any outside authority. They were sovereign nations. Of course, the legacy of Canandaigua is mixed. New York, in violation of federal law, continued to buy land, particularly from the Oneidas, Onondagas, and Cayugas, who were completely dispossessed by 1795. Private interests, with the support of the United States, started carving parcels from Iroquoia. At Big Tree, in 1797, three years after Canandaigua, the Senecas parted with nearly all of their lands, save for eleven small reservations. I have written about that transaction here. And in more recent years the expansion of the St. Lawrence Seaway, the Moses Parkway and the Niagara Power Authority, and, of course, Kinzua Dam, the subject of Scott Sackett and Paul Lamont’s fantastic new documentary. Much of what was secured at Canandaigua has been lost. So what are we left with? The treaty exists. That is a fact. That phrase, “free use and enjoyment,” is an important touchstone for Haudenosaunee people who face continual threats to their autonomy and independence, their sovereignty and the integrity of their economic enterprises through taxation and state interference. There is a sticker that is sometimes seen in Indian Country. “Honor Indian Treaties,” it says. Yet so many Indian treaties are little more than real estate transactions where American commissioners dictated cessions to militarily defeated people and asserted control over their communities. Treaties were too often instruments of colonial control, licenses for empire and subjugation. Canandaigua was different. At the time the treaty was negotiated in 1794, Haudenosaunee people still retained the capacity, should they choose to align themselves with the Northwestern confederates, to pose a grave threat to white American settlement. And they used that power, and their own considerable diplomatic skill, to secure the return for a time of a key parcel of land. More importantly–and this is what is commemorated every year at Canandaigua on Treaty Day, though they acknowledge the losses, the celebrate the recognition and confirmation of their right to the “Free Use and Enjoyment of their Lands.” We are native nations, the Haudenosaunee people gathered at Canandaigua assert, and we are still here.